27 January 2016. Hong Kong’s leading early-stage investment firm, Nest, last night announced its latest venture – a membership concept designed explicitly for the startup community. 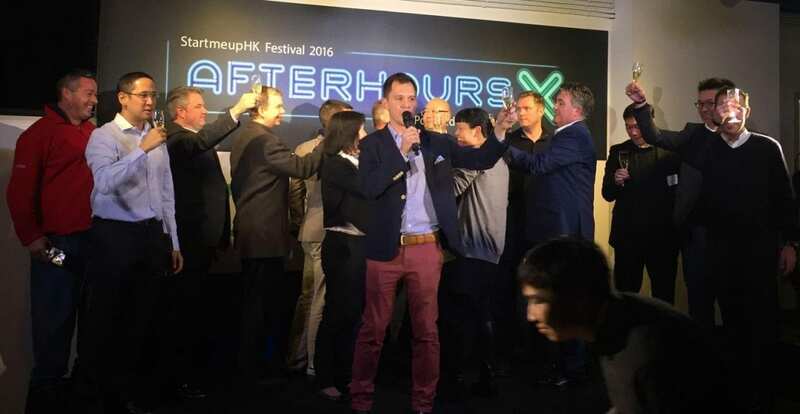 Revealed to over 350 industry VIPs at last night’s Mettā AfterhoursX, the social networking element of this week’s StartMeUp Festival, Mettā will become the first global connectivity platform for the entrepreneurial ecosystem to include a state-of-the-art community space in the heart of Central Hong Kong. Opening in March 2016, the club’s mission will be to connect entrepreneurs, pioneering companies and multinational corporations with resources, ideas, and capital in an efficient and relevant way. Mettā will consist of three key pillars; a virtual social network, live events and a physical 3000sqft members-only club facility on the 21st floor of California Tower in Central. Mettā is an invitation-only medium for best-in-class startups and founders to gain access to the broadest range of resources and networks in and across ecosystems. Partners will have the opportunity to drive bespoke engagement programmes such as workshops, thematic breakfasts, networking sessions and product showcases. In return, corporate partners must be able to provide startups with real value, beyond connectivity with members. Mettā is ultimately creating a network and co-membership options across global innovation bodies and locations. Mettā is an initiative of Nest, a pre-eminent early-stage venture capital business that provides seed-stage funding for startups, alongside support services focused on enabling them to scale rapidly. With an Asia-first differentiation, Nest is now active in Singapore, Bangkok, Nairobi, London, Paris, New York and Los Angeles. While the Mettā concept will start life in Hong Kong, Nest plans to roll it out across a number of other markets worldwide in 2016, thus creating a global network that members can tap into. The vision is to create a valuable and hollistic offering that benefits the startup community and helps entrpereneurs around the world build and scale businesses. Hatched in 2010, Nest is a full service early-stage venture capital firm focused on helping startups and talented founders from around the world build businesses that apply and commercialise innovation. Nest partners with leading corporations to run a series of mentor-driven accelerators. Designed to support the needs of high potential and fast growth startups, these programmes include a unique mix of resources that enable entrepreneurs to build and scale their businesses rapidly. Nest was founded in Hong Kong and has presence in Nairobi, London, Paris, New York, Los Angeles, Singapore and Bangkok.